The heart of SmileArts Dental is a friendly team of professionals that are dedicated to your utmost comfort and optimal oral health. We view each patient as a unique individual and tailor each treatment to your specific needs. As part of our commitment to providing personalized attention to every patient, we encourage patient communication. Please know that we are here to provide outstanding patient care and that we value the trust you have placed in us. Amber has been a faithful part of the Smile Arts since 2002. She is our clinical supervisor for both offices and always has a warm, friendly and welcoming attitude. "What I love most about my job is helping patients and seeing a big smile on their face when we complete their new smile." She is proud to be part of a team that strives to provide the best and most advanced dental treatment possible for over 14 years. Amber has been married to her husband, Clint since 2006, has a son named Corbin and a Pekinese named Gizmo. They enjoy anything outdoors and spend some of their free time drag racing. 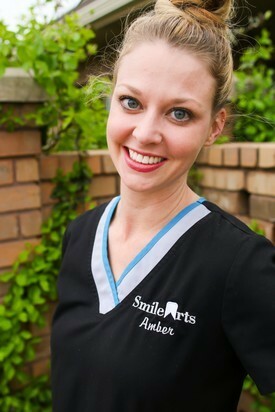 Join us at SmileArts Dental and meet Amber! 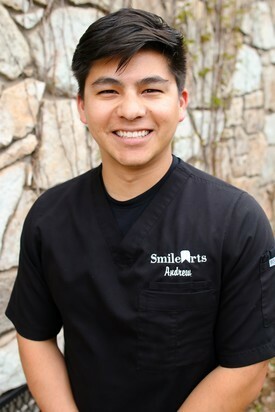 Andrew works on Mondays at our Yukon location is our full time hygienist at SmileArts OKC Tuesday through Friday. Andrew loves his patients and is a friendly guy who is easy to work with. You will be instant friends when you meet him. Andrew is a local Oklahoman who graduated from Norman North and then the University of Oklahoma in 2011. He is very gentle but provides his patients with meticulous pain-free cleaning resulting in a healthy and beautiful smile. He loves spending time with friends and family...especially if it involves the outdoors and cooking! 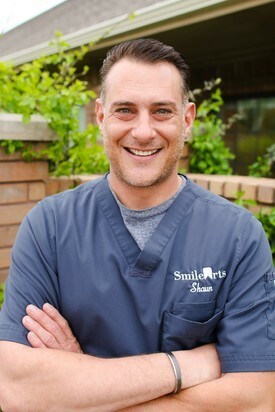 Come join our family at SmileArts Dental and meet Andrew! Ethan started with our team in 2014 as a high school summer intern. After graduating from Rush Springs High School in 2015, he returned as an intern for the summer and then started college in the fall of 2015. 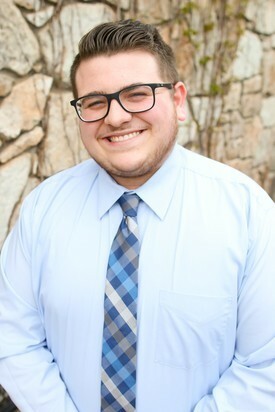 Ethan is now a full time part of our team as he works his way through college toward his goal of a career in Christian counseling. Ethan has one of the biggest loving hearts anyone could have and everyone falls in love with his small town friendliness and charm! He also completed his ministerial internship and is now a licensed minister. He is getting married soon too! Ethan loves the Lord, laughing, and Chinese food; in that order. His smile and laugh fills the room with love and can make anyone feel relaxed and comfortable. Come and get to know Ethan! Jessica joins our OKC team as our office manager. She is also a certified dental assistant so she understands both the front and back of our office giving our patients the advantage of full service care. Her dental knowledge flows into her treatment planning giving you the best of both world...accurate plans with educated explanations of your treatment. At SmileArts, we pride ourselves in hiring the best people for our great patients and Jessica is right up there with the best of them! She has one adorable son and is a native Okie! Come meet Jessica at our OKC office! 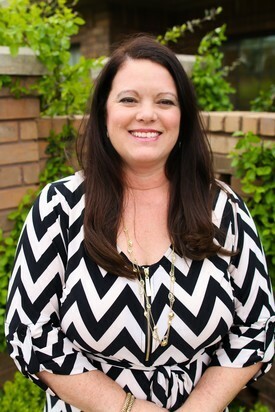 Kelly joined SmileArts Dental in 2014 as the insurance coordinator and front office assistant. She is the go-to person for all matters with insurance, which is no easy task in this culture of insurance upheavel. At SmileArts Dental, we strive to give accurate insurance estimates and Kelly works with a team of people to make that happen. She also will go to task with an insurance company to fight for your benefits which makes her a great friend to our patients and a wonderful office asset. Kelly is married to Jesse and they have one daughter, Tatem. Kelly has a houseful of pets and if the world were her playground, she would have good homes for every dog in the world! Come and make a friend that is on your side...meet Kelly! Kristi is our office manager and strives to oversee the office in an efficient, professional manner, while also facilitating a family atmosphere. She is loved by her staff and is one of the most kind and giving people you will ever cross paths with. We feel truly blessed to have such an amazing woman as the leader of our team. While keeping a timely schedule for our patients she makes time to help with treatment plans that suit the individual health and financial needs of each patient. She and her husband Chuck also pastor a church in Chickasha, Oklahoma where they have been serving since 1996. She is the proud mother of three grown daughters and two grandchildren, Lawson and Laina Cohenour. Kristi remembers each patient that comes to SmileArts Dental....visit a place where everybody knows your name! Nancy started with SmileArts Dental in 2017 after many years in dental management. Nancy is super friendly and makes you feel like family the minute you walk in. Nancy and her husband Caleb are native Oklahomans and avid Sooner fans. She brings a lot of experience to our OKC office and can answer any question you can throw at her! She is a wonderful asset to our dental family....come and meet Nancy and you will see why we love her! She's QUIRKY... and fun! Roberta joins our team in OKC as a dental assistant with years of experience. 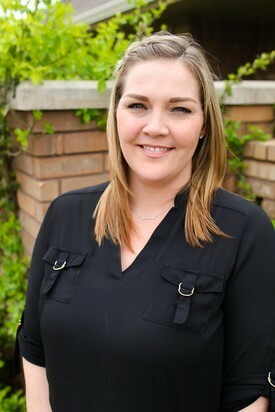 She has taught dental assisting for several different schools over the years and that teaching experience transfers over into very thorough and educational treatment at SmileArts! She assists both the doctor and the hygienist with a gentle and efficient demeanor and her calming manner will make you feel comforted rather than fearful about your dental care. Come meet Roberta...she will change your feelings about dental offices! Shaun joined the SmileArts Team in 2014. He is a kind, friendly person that helps to make all our patients feel safe and comfortable. He loves helping patients on a daily basis and helping move their dental health to an excellent state while explaining their treatment and dental condition in a way that everyone can understand. He developed his love of the medical field while traveling the country as an army brat finally settling on dental assisting. He has a son and a daughter and loves to spend time with them. Come meet Shaun...his laugh is contagious!